Welcome to the party friends! I am so thankful you stopped by to join us this week. I just love seeing all the great Christmas posts. My daughter and husband have been busy bringing down all of the Christmas decorations from the attic today, while I finish up this post. My hubby was just thrilled about that! I'm looking forward to transforming the house with my daughter this evening. Yikes, I always forget just how many boxes I do have! The weather is even cooperating and feeling like Christmas outside, which is very unusual around here this time of year. Our cat is contemplating his yearly climb to the top of the tree as I type this. :) Happy decorating to those of you who still have that job ahead of you, and congratulations to you awesome friends who are finished! This beautiful living room makeover by Sparkling Footsteps is a post you don't want to miss. Wow, the transformation is amazing! Lou Lou Girls shared this West Elm inspired DIY upholstered headboard. I so want to do this in my son's room. Check out the great tutorial. The Scrap Shop shared her adorable faux pallet Christmas design on canvas. 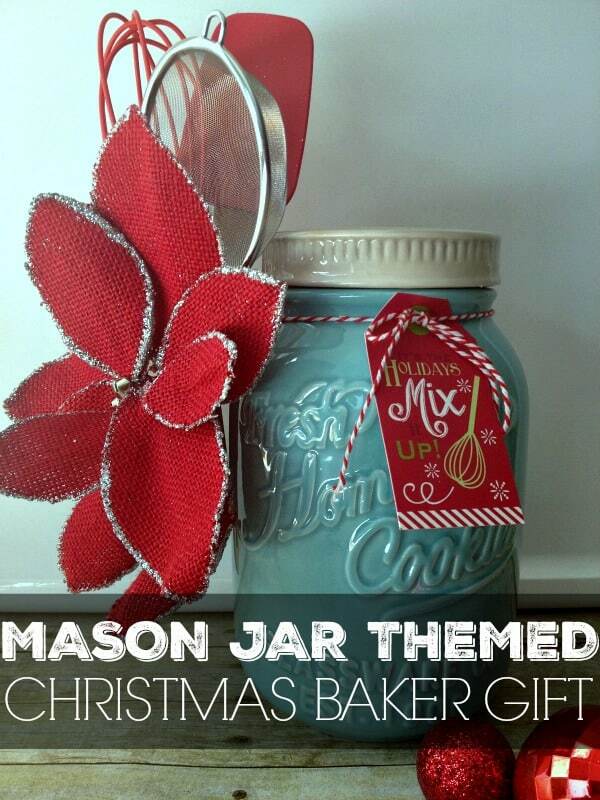 I so love this Mason Jar themed Christmas baker gift by Inspiration for Moms. I've got to get one of those jars! 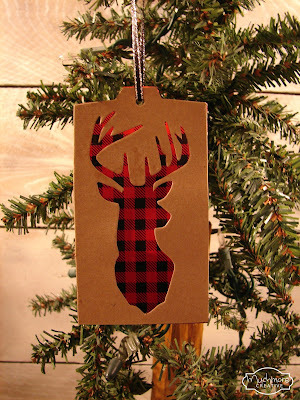 Muchmore Creative shared a great way to turn deer tags into Christmas ornaments. Worthing Court shared some awesome tips from a pro on how to make your own wreaths. Fynes Designs shared her Mrs. 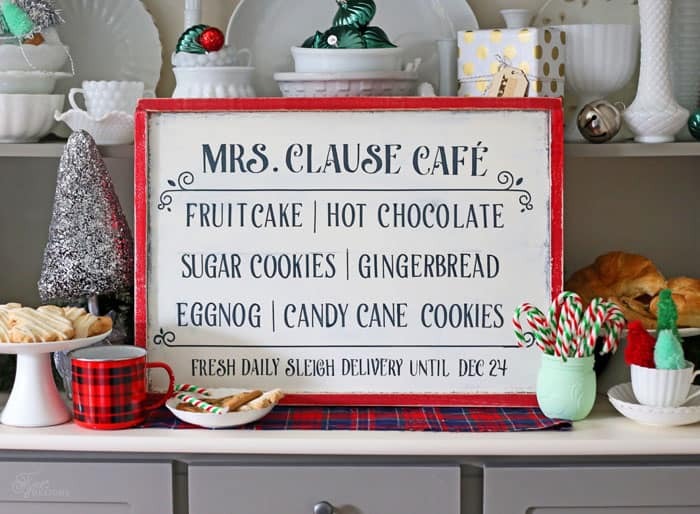 Clause Cafe sign with a free Silhouette cut file. Thinking Outside the Sandbox shared this easy Creamy Chicken and Corn Chowder Soup. This Chicken Green Chili Stuffed Sweet Potatoes by Sweet C's Desgins looks so yummy. 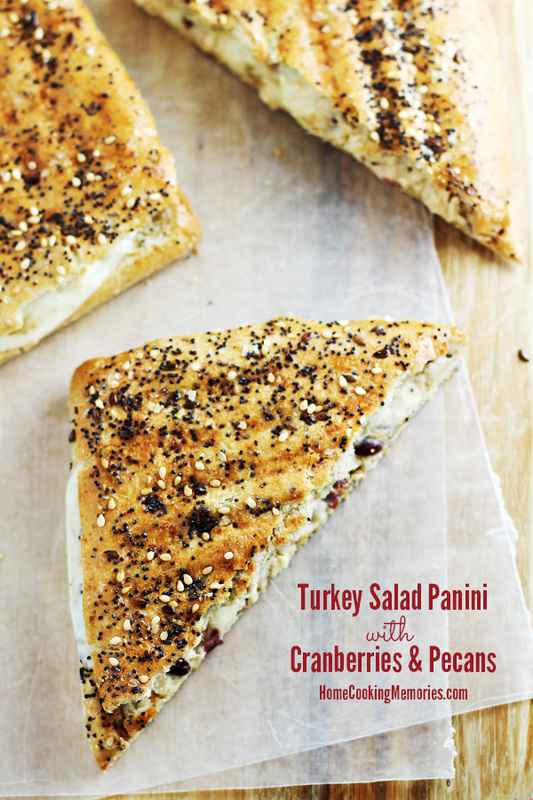 Home Cooking Memories shared her Leftover Turkey Salad Panni with Cranberries & Pecans. YUMMY! 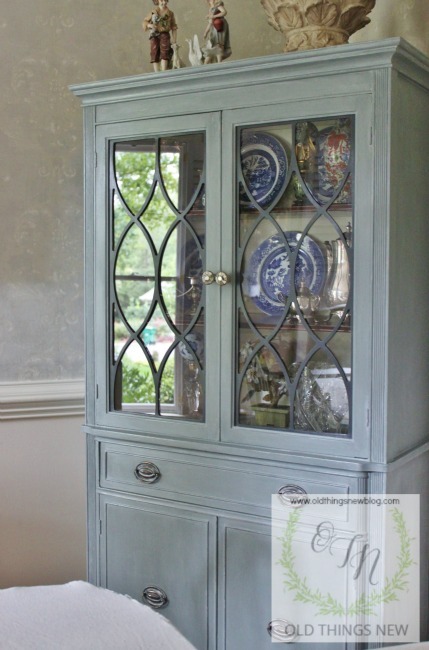 The featured blog this week is Old Things New. This fabulous blog is overflowing with inspiration and beauty in every post. Thanks for the party, Kathy! I'm one of the ones still with decorating to do and really am not looking forward to it. I plan on being in Aruba on the 23rd of December so my mind is elsewhere! Have a great week! Hi Kathy. Thanks for the great party and hope you had a very Happy Thanksgiving! Thank you Kathy for Party Time at Bouquet of Talent 169. Appreciate joining in and enjoy visiting. Thank you for the party! I hope you had a wonderful Thanksgiving! Hi Kathy! Thanks so much for hosting the fun party! Thanks for the party! Happy Sunday! I've been off blosphere for over a year now, and since I got back recently, I would like to show you two Advent Corollas (Wreaths) that I have made. Thank you for hosting Kathy and hope you had a lovely Thanksgiving! Thanks for hosting! Hope your Thanksgiving was amazing! 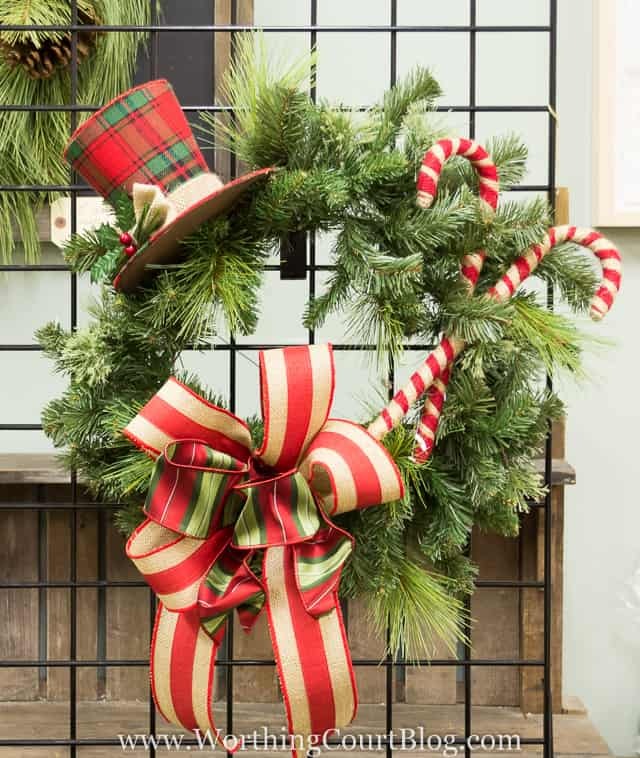 Thank you so much for including my wreath making tips in your features! And thank you for the great party every week too! Thanks for sharing my sign, Merry christmas!